Just feeding your dog less of his regular adult maintenance food will cause him to feel hungry and to become deficient in nutrients such as vitamins, minerals and protein. Instead, gradually switch him to a weight management food that is both lower in calories and higher in fiber while maintaining the same levels of nutrients. That way, he will still be getting a complete and balanced diet yet have a sense of “fullness” that is not simply due to calories. Feeding measured portions twice a day will also help him avoid becoming ravenously hungry and begging for food. In addition, there is evidence to support the use of ingredients like chromium, magnesium, cinnamon, green tea, L-carnitine, CLA (conjugated linoleic acid), and others in promoting proper muscle and fat metabolism in dogs. 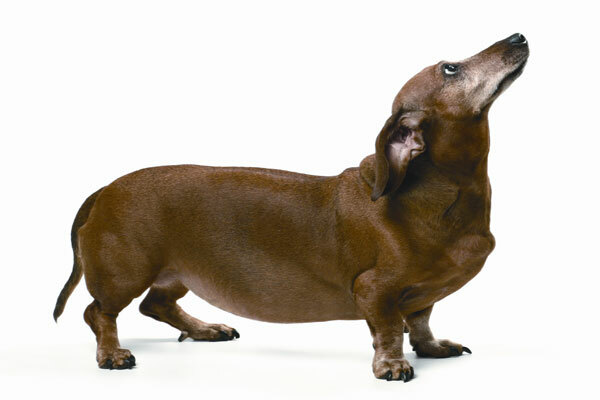 SmartCanine Healthy Weight may be used as part of a complete weight management program under the direction of a veterinarian. Diet, exercise, supplements and regular checkups that include body condition scoring and weighing are all important in achieving and maintaining a healthy weight in your pet. With 50% of the dogs in the US labeled as overweight or obese–conditions which are linked to health problems such as arthritis, diabetes, heart disease, hypothyroidism and others–it makes sense to do everything you can to get them back to their ideal weight and keep them there.